It’s a good time to be a retro gamer and craft beer enthusiast. Beer arcades are blowing up in Chicago with Emporium and Headquarters both expanding their space and a third barcade “Replay” coming soon. If you’d like to get in on the action, Headquarters has a Groupon up and they’re selling fast. 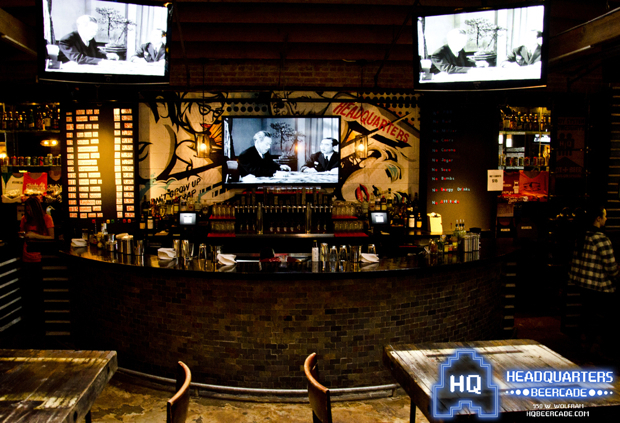 Craft Beer and Drinks at Headquarters Beercade (Half Off). Gamers can step up to any of 37 free-to-play arcade machines, including Donkey Kong and NBA Jam. Bartenders pour Brickstone APA and Dry Irish Stout alongside an extensive selection of liquors including Death’s Door gin ($8), Bulleit rye ($8), or Four Roses small-batch bourbon ($10). Groupons can also be used toward memorabilia or house-made beef jerky.